Top > Study > SNS > What happen when you retrieve your friend by personal information? 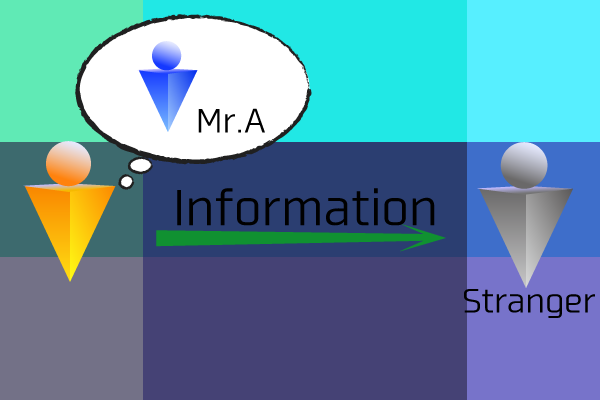 ■ What happen when you retrieve your friend by personal information? There is the case become friends by search with telephone number or mail address. In a sense, that service is very useful. If there isn't this service, you need to the process about after you connect a partner and have he tell his user name, you search and look for it, and you make friend registration. However in case of searching of telephone number or mail address, you needn't to be told a partner to his user name and it become easy. And recently “LINE” has the service that find your friend's account and introduce it by the information of address book automatically without you bother to search it. At the first sight, there seems to be very useful function and it hasn't the risk. Because of searching it by personal information, connected to one's partner is possible surely. However of course this is not the case, and there are some risks. What happens if your friend changed personal information that needs to search? What happens if you registered wrong information of your friend? Something like that cases, may hit to a people who is a total stranger after a search, and you may think that he is your friend and you may input in a friend list. You may think there isn't particular risk just wrong people input in a friend list. However in case of if you are misunderstanding it and the partner is goat, you may have damage from “Spoofing”. And you may send private information because still you are misunderstanding it. If that happens, a part of your personal information will tell for stranger. ▲Perhaps you send your private information to completely a stranger , and you still misunderstanding it. Of course that is not always develop into an incident, but there is a very great likelihood that comes to like that. ・First , what is “SNS”? ・About how to register for SNS and how to use it. ・What becomes after register for SNS? ・Let's add to your friends! ・The various the way of usages for SNS. ・What happen when you retrieve your friend by personal information? ・Is it really the person who was registered with personal information? ・General method of registration of a friend for SNS. ・Connect with a stranger is danger? ・Is it all right even if you meat a people who got to know in SNS? ・The information that you send or someone send it to.